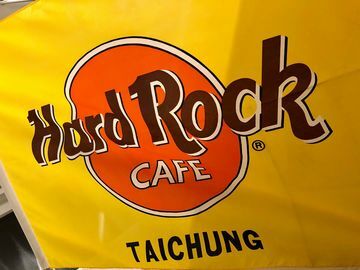 Located in the Central Shopping District of Taichung, Taiwan, the Hard Rock Cafe Taichung operated from December 1995 until December 1996. Pins from this location are somewhat difficult to find. Shotglasses are quite rare and "reproductions" are sometimes found for sale as the genuine article.